Are you tired of your kids watching too much television and wanting too many electronic techno gadgets? Do you feel queasy when an advertiser bombards your psyche demanding that you buy their product or you are not a good parent? When I was young (decades ago) there were no bombardments at stores and on television that my mother must buy a certain program or I was doomed – or at least headed toward a slower ascent in school rather than being at an advantage – or a prestigious leader. Sure, I Love Lucy was advertising Vegameatavitamin Juice but she wasn’t pushing “educational” programs, even after she had Little Ricky. My parents grew up during the Depression and they followed their gut, and pocketbook. They used good old-fashion COMMON SENSE. 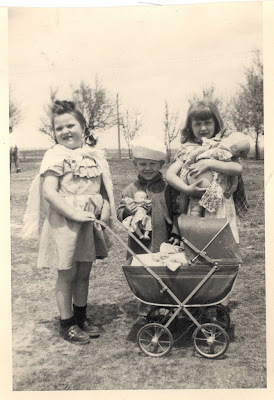 We had many hand-me-downs, upcycled toys (never heard that word until recently) or repaired things to ride and play with – and we didn’t care. We were having fun - outdoors. 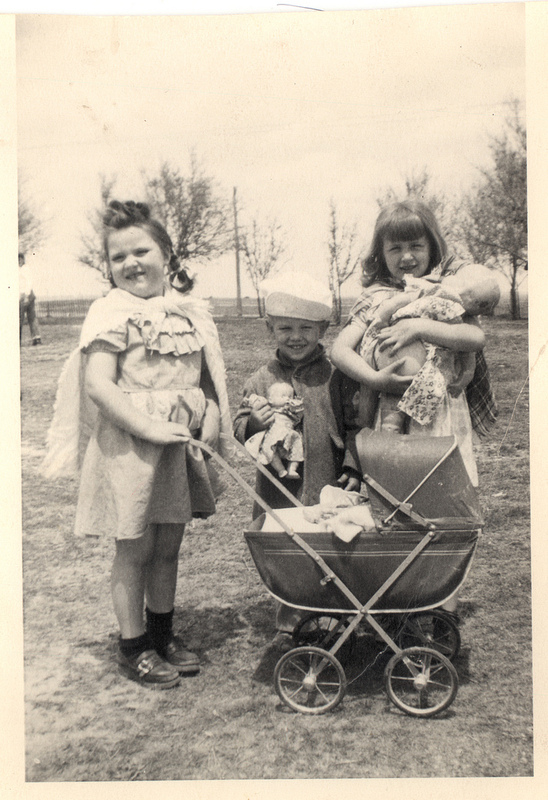 My parents had five kids and we were prepared for any weather. I get it. Mom needed some alone time to wash, cook, clean and sew. She wanted us out of her hair, but it was the best possible excuse for us kids to explore and discover the great outdoors. Totally unsupervised tag-along-after-my-brothers’ excursions were my favorite. We knew to be back around supper time and always back before dark. We shared an old canteen of water when we remembered to bring it, otherwise there were drinking fountains at the park which was 10 miles away. We rode our bicycles there often, up a very steep hill and almost never had any problems. If we encountered a problem, we solved it without cell phones. On rare occasions, if needed, we weren’t afraid to knock on a stranger’s door for help. Actually, we knew most of the people in our town or they knew someone in my large family. Do We Live in a More Advantageous Time? Hopscotch, laid out on sidewalks with white chalk from school. Collections: I loved collecting locust shells in the daytime and fireflies at night. This was in Kansas where there are plenty. Practically nothing in terms of money – huge in terms of development. Free Range Kids: How to Raise Safe, Self-Reliant Children without Going Nuts with Worry by Lenore Skenazy is full of research - and humor. This is quoted from her book: "...70 percent of today's moms say they played outside as kids. But only 31 percent of their kids do." Pediatric and Adolescent Medicine reports that of a sample of preschoolers representing 4 million children, about half had parent-supervised outdoor play activity per day. At least sixty minutes a day is recommended. I didn’t watch much television or play organized sports. I was in school bands and orchestras. Television was in black and white when we finally got one and there were few children’s shows available. We did watch The Lone Ranger and I loved the Heidi movies when they were on. Shirley Temple was adorable. I still want curly hair. Went to library (Gasp! We had no ebooks, iPads, cell phones, iTunes, game stations). Rode my bike hundreds, probably thousands, of miles exploring everywhere I could. Swam most summer days in the town pool. 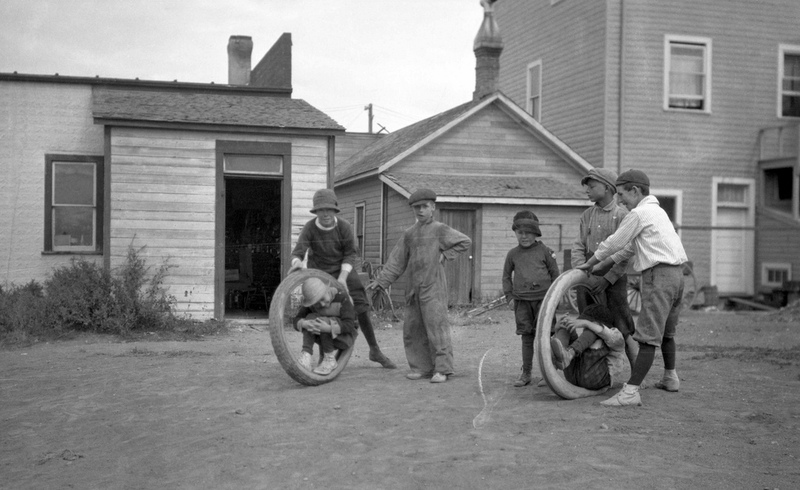 Swung in an old tire swing - that was even in our front yard - and walked to the Catholic school playground which still has teeter-totters, swings and a Geo Dome. Now I'm a “retired” teacher, author and blogger. Through blogging, I met my good friend Katie from Mommy with Selective Memory who is always looking for ways to educate her preschoolers – to make them as smart and happy as she can. She went on a search to find answers and even bought flashcards! I talked her into tossing them and doing playful activities with her preschoolers. She told me that she had no clue what to do with them even though she loves them dearly but that some days they were driving her crazy. What could she do when they took road trips or why wasn’t her daughter making neighborhood friends? How could she best help them develop physically, mentally, emotionally? We searched and there was no book for moms who don’t own a glue gun or know what to do with their toddlers or preschoolers. They just know they love them and want what is best for them. So we collaborated and wrote a book to help other moms in similar circumstances. It is filled with inexpensive activities and explains the child development benefits behind them: The Happy Mommy Handbook: The Ultimate How-to Guide on Keeping Your Toddlers and Preschoolers Busy, Out of Trouble and Motivated to Learn. Or you might like a glimpse into Kindergarten. Both are bestsellers and make helpful gifts for parents and teachers. Also available on Barnes & Noble and Kobo. What are your favorite outdoor memories? 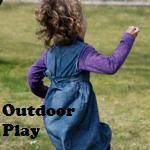 Click on the button below and join our Outdoor Play Linky Party! Susan...this is yet another awesome post!!!! Thank you for saying this...we need to pull the plug on TV and electronic toys and gadgets...and allow our children to be entertained by...their imagination!!! One thing you left out...don't you remember the round cookie tin filled with crayon stubs...when crayons broke, we didn't throw them away...we used them until the were too tiny to hold...and filled many hours with drawing...creating masterpieces. I've shared this post on Twitter and Facebook and will include a link on my Sunday post. By the way, your book looks amazing! Yes, I sure do remember using the old crayons! Thanks for mentioning that. Thank you. I'd much rather read books or blogs than watch television - unless I'm too tired to do much else. Thanks for visiting. My childhood was much like yours. I wouldn't dream of letting my kids out of my sight where we live now--too many creeps out there, but when I was a kid, we wandered all over the farm with no one watching us and made up all sorts of fun. I don't know why we even bother buying our kids toys as they're often broken within days or just tossed aside. My kids have the most fun with empty boxes, paper airplanes and sticks. The latest fun "toy" is a tie from an old pair of jammies that my kids pretend is a lasso. Very timely post. Good points! I've seen so many kids not interested in the toy but rather intrigued by the container it came in. Kids love noisy wrapping paper, big boxes, and pots & pans to bang on - or pour water back and forth. Love your blog. Thanks for commenting. You have an interesting blog. I really like the wooden letters. Thanks for the idea of using old crayons to make candles. It jogged a memory that I have done that - a long time ago - and they were beautiful. Thanks for commenting. Trisha - thank you for commenting. Yes, playing outside is becoming less common and a movement is needed to get children back outside to play. I'm glad you agree. Yes the outdoors were far more accessable back then. There was definitely no such thing as a 'cotton wool' generation. However, there are advocates out there striving move back toward an appreciation and awareness of the benefits of being out in nature. Thanks for a great post and for making me aware of it. I lok forward to seeing many more. Thank you for visiting my blog and sharing. i loved that you shared all of the activities that you did as a child. they're classics that we should really incorporate into our children's experiences. thanks for linking it up to tip-toe thru tuesday! Andie - thank you for commenting. I love your blog and linky parties. I love hearing about what people did when they were little. It is true, even I was outside a lot more than most children today. I walked everywhere with my friends up until high school. I was fortunate to grow up on my grandma's 2 acre property that had a river on it. I try to get my children out as much as possible. Sometimes I make my kids go outside and let them come up with their own activity. They can't come in for 15 min so they have to make the best of it. Thanks for sharing at Mom's Library! Tulip - thank you for commenting. Yes, children need to get outside more and enjoy nature and learn socialization skills. There is so much to do that is inexpensive or free. Love your blog. Thank you so much! Lovely blog you have. You said a lot of what I've been thinking and reminiscing about in this post. Lovely blog. My children are lucky enough to have this back to basics childhood on our farm in Cornwall, I do wonder if they are the last generation to play naturally like this? I did a lot of the same stuff you did as a child, and my kids enjoy the same activities. only 31% of the kids play outside? Wow, that would make parenting hard work... my kids start bouncing off teh walls if for some reason I keep them indoors for a day.